A5 Cry / The Electric Co.
© 1979 Warner Bros. Inc.
℗ 1981 Island Records Ltd. The title for A6 is misprinted as "Things To Make An Do" on the label. The track "Another Time, Another Place" plays between A4 and A5 but is not listed on the label. Many original copies included a two-page bio insert. 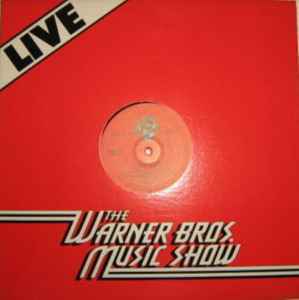 This legitimate WB promotional LP has been bootlegged many times including this pre-1985 release 2 Sides Live. How can this be under "album" category? it was never one, a live recording maybe, and when I try to edit the entry the box for album is not even ticked... yet, still shows up as an official album. All release with picture on www.u2wkbt.net.